With summer half over, it's easy to pick out bird songs from the background. No more riotous dawn chorus or all-day songfests. Just a few male birds still looking for love. 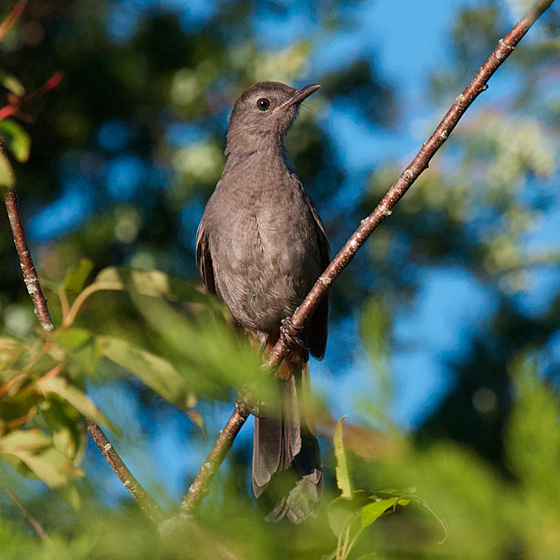 Like this gray catbird who poked up out of the thicket to check on me and the little brown dog. Here in Iowa, you can still hear the catbird singing in the woods. In its shape and handling it's like the best-selling original Rangers, but it has higher quality, extra-low-disperson glass ("ED"). Which means you see a clearer, sharper image.